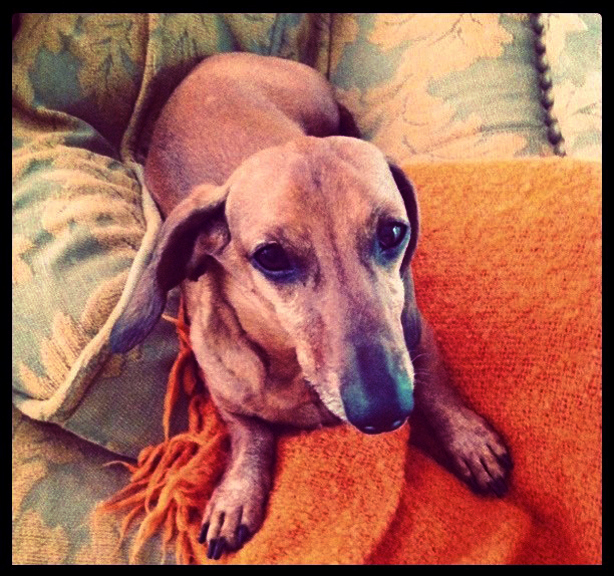 Magnus, our twelve year old Dachshund. Photo: Robin Plaskoff Horton via Instagram. 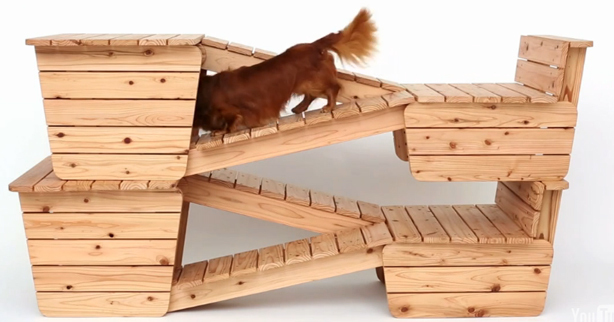 Architecture for Dogs, a collection of a dog structures conceived by a group of architects and designers from around the globe, will launch their first thirteen creative pieces of “barkitecture” December 5 at Design Miami in the Miami Design District. This is the first of a planned ongoing project by Imprint Venture Lab in conjunction with Hara Design Institute. 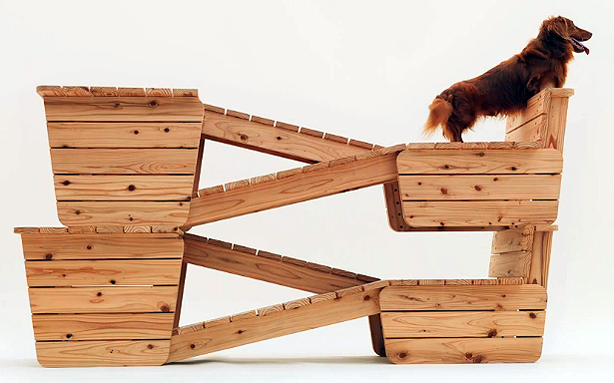 When I saw Atelier Bow-Wow’s design for “a long-bodied, short-legged dog,” I had to have one for our red smoothie Dachshund, Magnus, above. Although he is approaching twelve years old–nearly 82 in dog years–Mags (aka The Magsters) still bounces playfully around the house, leaping upstairs and onto the couch to cuddle with us or burrow under a blanket. We still have to “puppy-proof” our home as Magnus will get into and chew anything he perceives as edible, whether it is or not. I know Magnus would love this structure as much as I, so I’m going to ask my super crafty 94 year-old father-in-law to build this one for Mags. 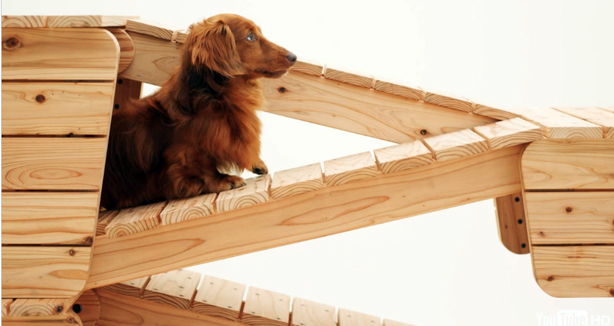 To encourage everyone to make any of the designs for one’s own dog, the group offers free DIY downloadable blueprints, photos, and videos of each design online. In exchange, they only ask that you take a picture of your dog with the completed structure and upload it onto site’s community page. When the weather turns warmer in the spring, the piece will be great outdoors so stay tuned for updates on Magnus and his new doggie space. 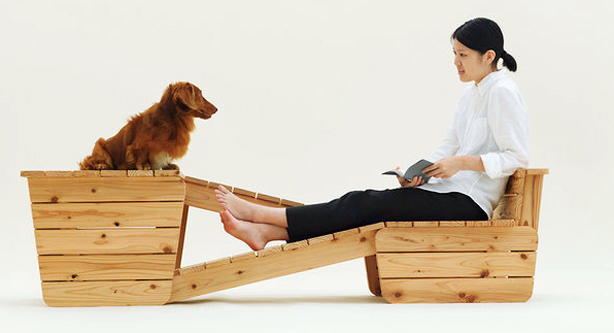 Check out Architecture for Dogs to see the other twelve designs.